Today at F8, Facebook revealed it has a team of 60 engineers working on building a brain-computer interface that will let you type with just your mind without invasive implants. The team plans to use optical imaging to scan your brain a hundred times per second to detect you speaking silently in your head, and translate it into text. 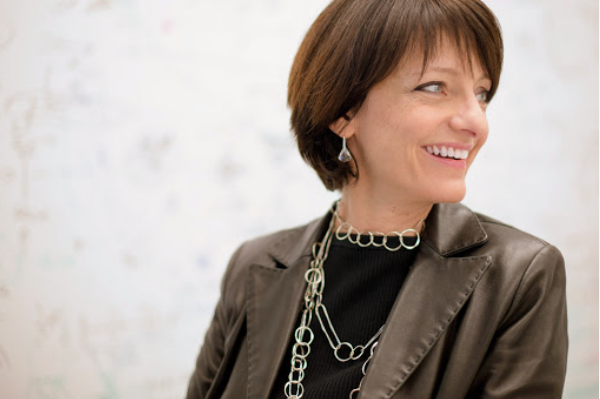 Regina Dugan, the head of Facebook’s R&D division Building 8, explained to conference attendees that the goal is to eventually allow people to type at 100 words per minute, 5X faster than typing on a phone, with just your mind. Eventually, brain-computer interfaces could let people control augmented reality and virtual reality experiences with their mind instead of a screen or controller. Facebook’s CEO and CTO teased these details of this “direct brain interface” technology over the last two days at F8. “What if you could type directly from your brain?” Dugan asked. She showed a video of a paralyzed medical patient at Stanford who can type using their mind thanks to an implanted sensor. She went on to explain how Facebook wants to do this without surgical implants. Building 8 only began working on the brain typing project six months ago, but it now is collaborating with UC San Francisco, UC Berkeley, Johns Hopkins Medicine, Johns Hopkins University’s Applied Physics Laboratory and Washington University School of Medicine in St. Louis. Researchers who specialize in machine learning for decoding speech and language, building optical neuroimaging systems with advanced spatial resolution and next-generation neural prosthetics are involved.